According to Bovada, former Cleveland Cavaliers general manager David Griffin is the favorite to replace Magic Johnson as the Los Angeles Lakers President of Basketball Operations. On Tuesday, Magic Johnson shocked the basketball world when he abruptly stepped down as the Los Angeles Lakers' President of Basketball Operations. Could Johnson's resignation open the door for LeBron James to reunite with one of his former Cleveland Cavaliers co-workers? At least one sportsbook seems to think so. Hours after Johnson's impromptu press conference -- in which he revealed he had yet to inform Lakers owner Jeanie Buss of his decision to resign -- Bovada released its odds for who will replace the Hall of Fame point guard as the Lakers chief basketball decision-maker. Topping the list is David Griffin, who served as the Cavs' general manager during the first three seasons of James' second stint in Cleveland (2014-17). At +175, Griffin edges out a pair of former Lakers stars in Kobe Bryant (+175) and Jerry West (+350) as realistic Johnson replacements -- at least as far as the odds suggest. 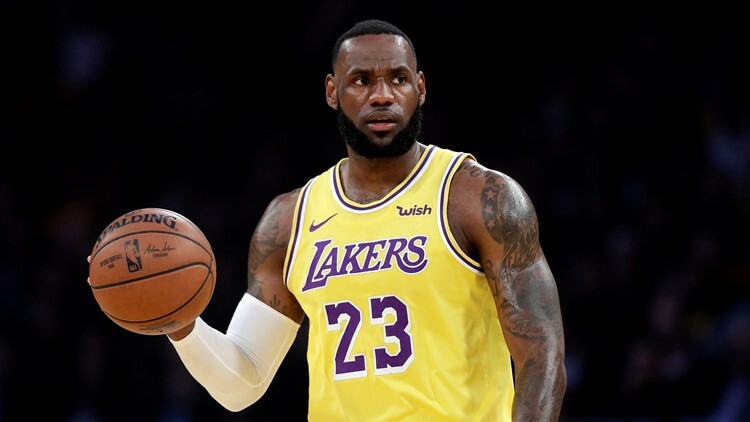 Current Miami Heat president and former Lakers coach Pat Riley (+900), Toronto Raptors president Masai Ujiri (+1000) and former Lakers coach Phil Jackson (+1000) each possess slightly longer odds, with LaVar Ball -- the outspoken father of current Lakers point guard Lonzo Ball -- being given +100000 odds. Although such odds are typically used to drive attention to a sportsbook, the link between the Lakers and Griffin is a natural one. While it's been two years since he last held an NBA front office job, Griffin is considered a savvy executive whose shrewd dealings helped build a championship team around James during his time in Cleveland. Furthermore, he has experience in dealing with the lofty expectations and unique quirks that come with working alongside James. It's also worth noting that after Cavs owner Dan Gilbert's opted to not re-sign Griffin following the 2017 NBA Finals, James took to Twitter to thank his former G.M. for his efforts. Although James' Lakers are coming off a disappointing 37-45 season, the team enters the upcoming offseason with enough cap space to sign a max salary free agent to pair next to James. And if they're looking for an experienced executive with experience building around James, they'd be hard pressed to find a candidate more qualified than Griffin -- although whether or not the current NBA TV analyst would accept the job could be a significant roadblock in making such reunion a reality.